A nice straight bench with back. On the back panel carved two dolphins with large shell on the centre, plain straight top with decorated bases with shells. 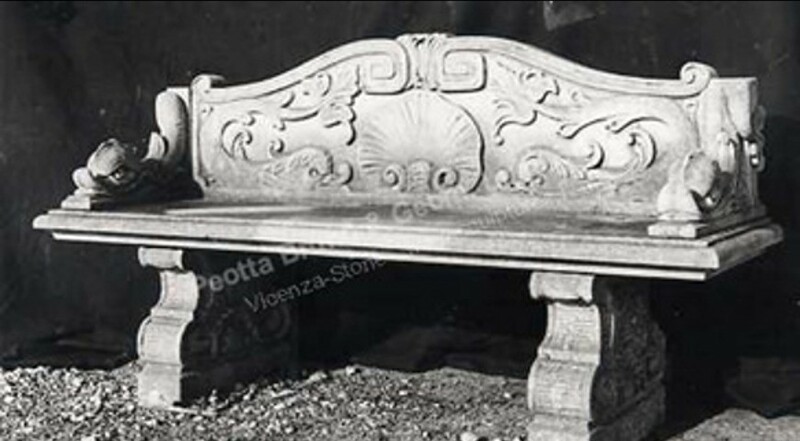 Stone garden furniture of 19th century origin. Hand carved bench in our atelier. The stone Straight bench with back is ideal for use on a patio, terrace or garden by itself, or together with other stone furniture.